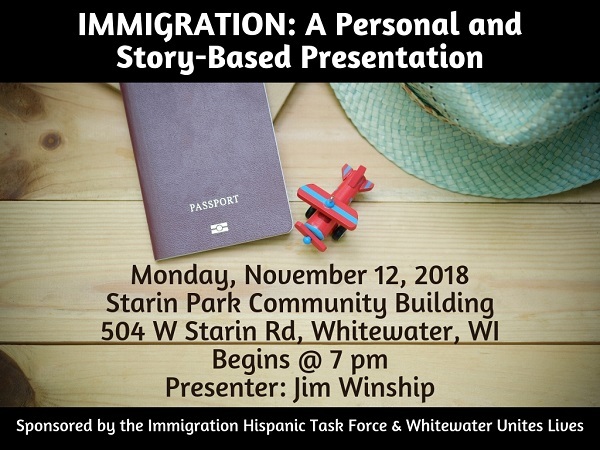 The Immigration Hispanic Task Force and Whitewater Unites Lives are excited to offer a story-based presentation about immigration and how it is perceived differently by many. 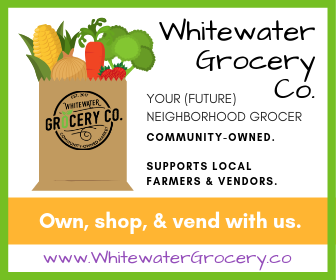 The 30-minute story filled presentation will take place on Monday, November 12, 2018, at 7 pm at the Starin Park Community Building in Whitewater. 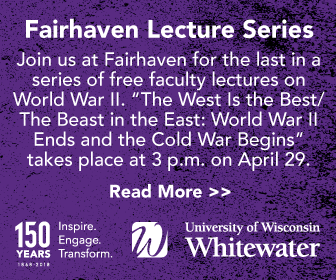 This presentation is open to the public and discussion after is encouraged and desired.